Funky and quirky meet practical and fuel-efficient in the 2013 Nissan Juke. Although it's not much bigger than a Nissan Sentra, the Juke sits up much higher, offers an all-wheel-drive model and is loaded with innovative features and styling. If you're looking for a small SUV that loves to stand out in a crowd, the Juke takes center stage. 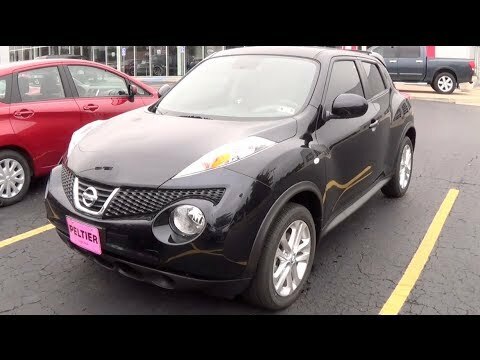 Living a great life in a 2013 Nissan Juke! The Nissan Juke is amazing! Its perfect height off the ground for me where I don't have to squat down or jump up to get into it, I am 5'7''. It's a zippy little vehicle since it has a turbo engine! The seats are great! Its gone with me all across Texas, through Oklahoma, to Missouri and back home to the southernmost tip of Texas! The only problem I have had with it since I bought it in 2014 is that some part of the fan for the air conditioner fused together with heat and it needed replacing in the summer of 2018 which was a couple of months ago! Other than that she is still in great shape! she's been to the beach, the Texas hill country, over old creaky bridges in Oklahoma, a creepy road at night in Missouri, huge metropolitan areas like Houston and Dallas, and the tiniest of small towns! She's been lived in a couple of nights where adventuring got the best of us, held my fishing and scuba gear and first aid kit when my fiancée cut his finger at the lake, she's sang "baby shark" with my niece and I on all our adventures! She's held all my belongings every time I have moved. She's also been in a major car accident with me where we went flying through the air a bit and she kept me completely safe without a single scratch. We fixed her up and she's still going strong! I love my Juke! Definitely recommend to everyone! My juke, Stylish, practical and economical. I have had no problems within the past five years. It performs well and its reliable. I am the only person that drives my car. Most of the features are ok, except for connecting an Ipod. The connection is in the glove compartment which makes no sense. I would have to set it up before I drive. The distance is too far from the steering wheel. The rear cup holder was not made properly; only a small cup can fit. I wish there was better lighting throughout the car, e. G. I have to turn the inside lights on to find the ignition at night. And it's difficult to find the gas release and hood release. I do like the trunk space and the option of the rear seats folding down. The size is appropriate for four passengers. It picks up speed quite fast. Overall it is a stylish vehicle, comparable to the infinite crossover. I am considering getting a larger vehicle now that I have three grandchildren. I call it the jumping spider. It looks like it is about to pounce and is zippy. This car has extremely comfortable seats which was the first requirement when purchasing the car. The next thing I checked was how quickly it accelerated on the highway. Needless to say, the turbo engine makes short highway enhances a breeze. I also checked to see how tight a turn the car can make. It is a quarter horse of small SUVs. The only problem I have had so far is that the pulley for the alternator broke resulting in having to have the whole thing replaced. The mechanic told me that the process took twice a long because they had to remove the entire front bumper to get to the alternator. Nissan will notify owners, and dealers will re-torque the fuel pressure sensors free of charge. The recall is expected to begin on or before January 26, 2015. Owners may contact Nissan customer service at 1-800-647-7261.